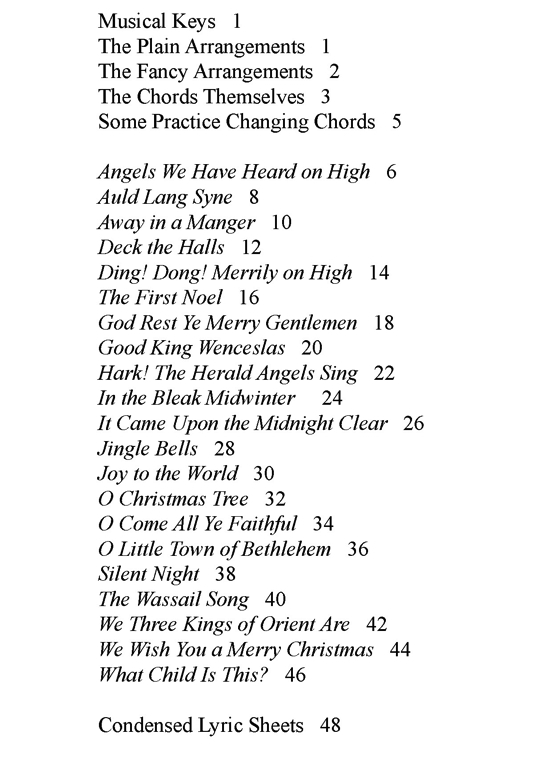 The melodies, harmonies, chords and lyrics to 21 traditional seasonal songs. Choose your own level of difficulty. 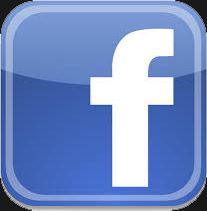 There are several versions of each carol, so whatever your skill level, there is a way to play. 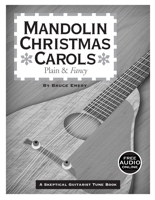 The melodies, harmonies, chords and lyrics to 21 traditional seasonal songs in chord diagrams and tablature in several keys, specifically for the mandolin. Choose your own level of difficulty. There are two versions of each carol, plain and fancy, so whatever your skill level, there is a way to play. There are condensed lyric sheets in the back to copy and pass out to the carolers. Merry Christmas!